The mission of Calvary Hospital is to care for the medical, emotional and spiritual needs of our adult patients with advanced cancer and other life-limiting illnesses. It is the only fully accredited acute care hospital in the U.S. devoted exclusively to the palliative care of adult patients. Calvary’s core principles are compassion, non-abandonment, dignity and love. Calvary’s mission today is the same as when we started nearly 120 years ago. Our family-centric approach to patient care is key to relieving the stress and concerns of family members as well. 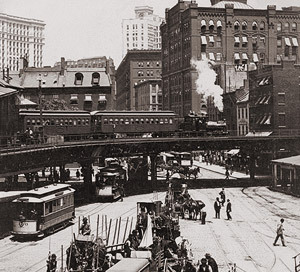 In 1899, a small group of widows in New York, inspired by the work of a group in France called Women of Calvary, began caring for destitute women with terminal diseases. They took care of the women first in their own homes, then in two brownstone houses on Perry Street in Greenwich Village. The House of Calvary moved to Macombs Road in the Bronx in 1915, became fully accredited in 1965, and officially changed its name to Calvary Hospital in 1969. Calvary Hospital has occupied its present site at 1740 Eastchester Road in the Bronx since 1978. We are grateful to the religious orders that have contributed their strength to the work of Calvary. In 1910, the Dominican Sisters of Blauvelt were asked by the Archdiocese of New York to assist in service to the patients at Calvary, and they did so until 1958. From 1958 until 1972, the Dominican Sisters of the Sick Poor administered the Hospital, and from 1972 until 1976, The Little Company of Mary assisted in the administration of nursing and overall patient care. At present, there is a lay administration, but religious people from many different communities and faiths still share in the work of the Hospital. The Dames du Calvaire is founded by Madame Garnier in Lyons, France. Calvary cares for Jewish patients and families since the hospital was founded. The House of Calvary is founded by Annie Blount Storrs and the Women of Calvary on Perry Street in Greenwich Village. The House of Calvary moves to Macombs Road and Featherbed Lane in the Bronx. Calvary establishes a permanent medical staff and nursing program. For the first time, it admits and cares for male patients. The Hospital launches its unique Cancer Care Technician program. It becomes fully accredited and officially changes its name to Calvary Hospital. The Hospital moves to its current location on Eastchester Road in the Morris Park section of the Bronx. Calvary launches its research and education entity, the Palliative Care Institute. The Hospital establishes a full-service Home Health Care agency. The Hospital establishes the Calvary Fund as a not-for- profit fundraising corporation. Calvary applies to Memorial Scrolls Trust (England) for one of their sefer Torahs. MST approves the request and Calvary receives no. 515. The scroll originated in 1880 from the town of Taus-Domazlice, in what is now known as the Czech Republic. The Florence and Camillo D’Urso Patient Activity Center is dedicated. Calvary Hospital and its Certified Home Health Agency receive their first Accreditation with Commendation from the Joint Commission. Calvary Hospital and its Certified Home Health Agency receive their second Accreditation with Commendation from the Joint Commission. Calvary becomes a Restraint-Free Institution. The Hospital adds Hospice services to its continuum of care. Calvary Hospital receives Accreditation with Commendation from the Joint Commission for the third consecutive survey. Calvary launches a week-long summer bereavement camp for children ages 5 to 17. At the Bronx campus, Calvary opens the Family Care Center, the first facility of its kind in the greater New York area. Calvary@Home celebrates 10 years of providing Home Hospice care in greater New York area. Calvary Hospital and Calvary@Home earn renewed accreditation from The Joint Commission. Calvary@Home launches an innovative Palliative Home Care program. Calvary honored with Circle of Life award from the Catholic Health Association, one of three healthcare facilities singled out for this award. Calvary Hospital and Calvary@Home earn renewed accreditation from The Joint Commission. 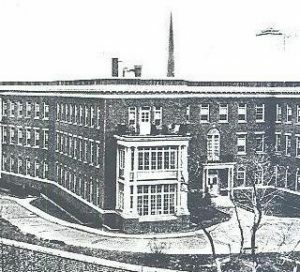 The Hospital marks 35 years at its current location on Eastchester Road. Calvary admits its first patients to The Dawn Greene Hospice at Mary Manning Walsh Home in Manhattan, supported by a leadership grant from The Jerome L. Greene Foundation. Calvary Hospital wins prestigious Public Relations Society of America Big Apple Award from the NYC chapter on its successful educational effort to the Jewish community. Calvary Hospice offers inpatient hospice care at the three campuses of the New York-Presbyterian. Calvary forms a special partnership with Ozanam Hall of Nursing Home in Queens to provide an inpatient level of hospice care for a select number of patients. Calvary completes year-long restoration of a 135-year- old Torah Scroll, on permanent loan from the Memorial Scrolls Trust in London. Calvary celebrates 15 years of its 25-bed Brooklyn Campus at NYU Lutheran. Press Ganey recognizes Calvary for 12 consecutive years for our outstanding patient satisfaction. Calvary hosts 20th annual week-long summer Camp Compass® bereavement camp for children ages 5 to 17.